FF400 is a compact spray type fire extinguisher that is powerful, effective and easy to use, just point and spray. It is small enough to fit anywhere and great for fireplaces, kitchens, offices, garages, camping, grilling, cars, RVs, boats, workshops and any rooms in homes. 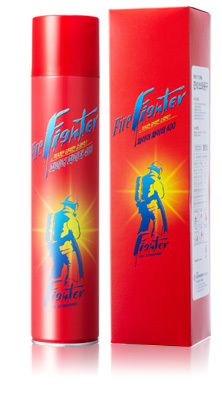 This unit contains unique biodegradable and environmentally safe fire fighting agent which is an absolute alternative to the hazardous materials created from former fire extinguishers during the process of suppression.